Linda joined Colonial First State (CFS) in March 2010 and is responsible for managing the CFS brand and all marketing activity across the CFS business which currently manages in excess of $90 billion on behalf of individual investors, advisers, employers and superannuation funds. CFS is also a leader in the provision of platform services to both the retail and wholesale market. 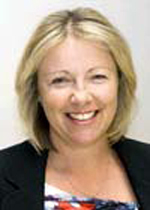 Before joining CFS Linda was Managing Director of Superannuation at Russell Investments. In this role she was responsible for providing a range of services including investments, consulting, administration, trustee services, member services and communications to some of Australia’s largest corporate superannuation funds. Last Updated: 2013-04-28 13:35:34 by Emily Inglis .